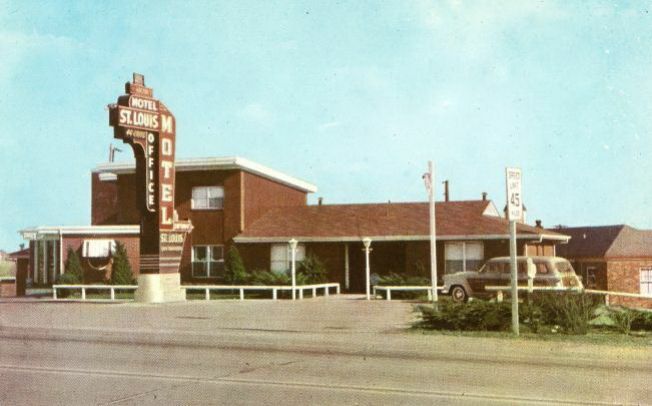 Motel St Louis, "5028 North Lindbergh, Bridgeton, MO. Across from Lambert Field on By-Pass 66-67-40. Phone: HA 9-7484 - 46 Modern Units - Free Radio and Television - Air Conditioned - Steam Heat - Free Transportation to and from Airport."